There is a certain unease among traditionally trained Buddhists which is that some of that which goes under the heading of ‘Buddhism’ in the West is questionable regarding its authenticity. The fear is that some of the adaptations that have taken place over the years have departed too far from the basic teachings of the Budd­ha. The discomfort is not only felt by traditionally trained monastics. 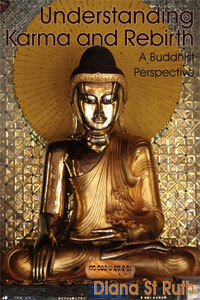 There are many westerners too who are concerned about what is going under the heading of ‘Buddhism’. There is a movement towards making Buddhism easy to take, light weight, or as I’ve heard it referred to ‘Buddha-Lite’. It is being packaged, sold, and tinkered with in a way that is bordering on deception; a kind of counterfeit dharma. Somehow Buddh­ism is fashionable, popular, and there are many who are taking advantage of that for financial and prestigious reasons. Publishers also make a point of having Buddhism marketed alongside Mind Body Spirit, New Age, and stress management books. People say, ‘It’s not a religion, is it? It’s a way of life,’ which is, of course, true, but that means that Buddhism is not divorced from anything one does in life, not that it is materialistic. Buddhism is about getting to the root of existence, the truth of self, our delusions regarding what the self actually is, not how to prop up the ‘self’ and make it feel better. The body is going to die, and the personality is going to disintegrate; we cannot avoid it. Buddhism, traditionally, has always been hard to take; it is not light weight; the point is to realise what is beyond the conditioned mind, to realise without views and opinions, to face the indescribable nature of existence and nonexistence. This is something to experience, not to study, think about or dwell on. We shall probably have to face some disturbing moments of truth in our investigations when the so-called ‘self’ or ego has the spotlight of dharma shone upon it. 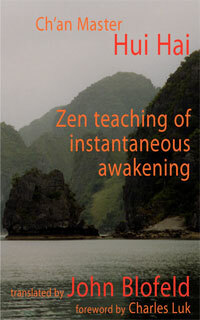 In the past, disciples were not enticed to embark on the path by real­ised masters. On the contrary, they were discouraged. Why? ­Because it is not the easy option. One needs to have given up looking for happiness in the world before the right intention is engendered to find liberation and a deeper happiness. Yes, there are cultural accretions that we can do without in some forms of traditional Buddhism, simply because they are cultural accretions, and in this sense we do need to bring it into the twenty-first century if it is going to survive, but we should take care not to tamper with the basis of Buddhism. After all, what is the point of replacing Eastern cultural accretions with Western ones. Facing the living reality of what we are, or of what life is, cannot be improved upon in the twenty-first century. Very true, especially if it’s the “Buddhism Light” style that so easily fits in with consumerist lifestyle that Zizek has been ranting about. There are no easy to take paths. . . thinking there are will only make the journey more difficult then it already is. I am pleased that the dhamma is making headway into mainstream, and maybe Buddhalite will be a door to a deeper study and understanding for ‘those with little dust in their eyes’….. but….. It was just too much when I saw a one day course in Brighton entitled The Art of Mindful Knitting – integrating guided meditation exercises, at £60 per participant. It seems that this phenomenon is particularly prevalent in the USA. Every time I see a phony hack like [edited…] spout bs Dhamma it makes me sick. […. edited…….] The Buddhas dhamma-vinaya is perfect in the beginning, middle, and end. There is no need to embellish, add on, or adjust in any way. The Buddha realized that it would take skillful means to advance the dharma as it was transmitted to different cultures and encountered different contexts under which it would be a valuable guide to living a noble life. The important thing is to present the dharma in a way that initially it can be recognized while keeping clear the core of the Buddha’s teachings, the Four Ennobling Truths. Perhaps in the Western culture it is skillful means to offer “Buddhism-lite” in order to open the minds and hearts of those never before exposed to such a profound philosophy. That may give them the opportunity to recognize the value of Buddhism and then go on to the deeper, more committed study and practice needed to realize those teachings in moment-to-moment experience. A more thorough understanding of the Buddha’s teachings of impermanence and dependent origination will reveal that there is no “perfect” dhamma-vinaya or any other Buddhist teaching. They are all empty of “own-being” and have the potential to be refined in whatever situation they become a factor in. 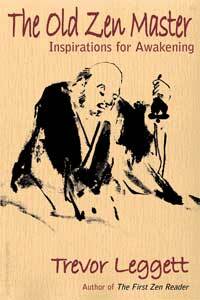 “Buddhism” designates a specific type of “liteness:” deceptive transcendentalism (aka, “The Dharma”). That is true regardless of the particular variety of Buddhism–of, let’s call it, “x-buddhism.” The term “authentic” is meaningless. It is all Buddhism; it is all accretion; it is all lite. The primary illusion, as Wallis says, is to think something called “buddhism” can be separated from something called “cultural accretions.” Try doing that in a country where Buddha sasana is a way of life (religion + philosophy + superstition (local wisdom)). All of the Western assumptions fall by the wayside. Then again hasn’t ALL buddhism been “interpretted” from the original teachings of the Buddha? The essence of his teachings were to question everything with the truth that is in each individual, not what is ‘taught’ by anyone, even Mr. Gautamma himself. See Instruction To The Kalamas on another post by Diana ‘Knowing for ourselves’. 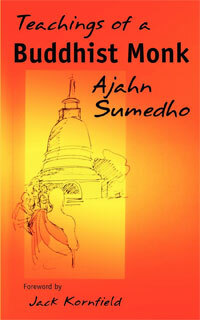 Buddhism historically has changed and adapted to suit the culture around it. That it is changing and adapting now in Western culture is nothing new. If it helps people, great, even if it’s a so called ‘Buddhism lite’ version. Here’s how I try to judge Buddhist practices — if it feels like one insult after another, it’s probably authentic.